Iron Maiden Live In Dallas, Texas 2010. The Final Frontier Tour. This video is from the first date on the tour! This is the new song off of the new album that came out Aug. 16, 2010. 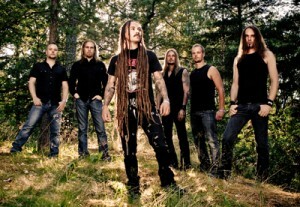 AMORPHIS Launch New YouTube Channel! [Photo credit: by Audrey Dujardin] Finland’s AMORPHIS has launched a brand new YouTube channel at http://www.youtube.com/amorphisofficial. Currently has a great selection of their material with more clips being added… check em out! 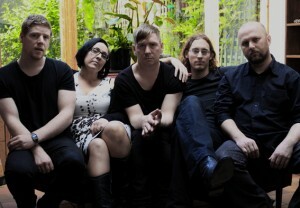 For anyone who ever thought that making good music was a lost art, Melbourne 5-piece LAURA compels you to think again. Here’s an interesting 1988 documentary titled ‘Brisbane Bands’ we found on youTube. This documentary focuses on the isolation and struggle many Brisbane punk bands had to endure in the face of conservative Brisbane during the 1970’s. Mark Callaghan (GANGgajang/The Riptides), Ed Kuepper (The Saints), Robert Forster (The Go-Betweens) and Ed Wreckage (The Leftovers) speak about growing up in Brisbane during the 1970’s and forming bands. Ed Kuepper reflects on the Saints’ classic single ‘(I’m) Stranded’ and the single’s promo-video. [photo: Courtesy Paul Kelly website] From very early on in his career, Paul Kelly has been recognised as one of the most significant singer/songwriters in the country. His influence over Australian music and Australian culture is wide and significant – backed up by the fact his new compilation Songs From The South – Volume 2 has gone Gold since its November 2008 release. As well as issuing an enduring body of work with his own bands, Kelly has written film scores (Lantana and the Cannes 2006 highlight, Jindabyne), and produced albums for and written songs with some of Australia and New Zealand’s finest artists. Paul Kelly’s Songs From The South Volume 2 was recently released, along with a DVD collection of Paul Kelly videos from 1985 to 2008 and a double CD including Songs From The South Volume’s 1 & 2. You can find these at record stores and digital outlets now. Since it’s release the positive reviews have been coming through thick and fast. One such review can be read below, from Noel Mengel of The Courier Mail. More reviews are posted in the ‘Recent Press’ section on Paul Kelly‘s website. 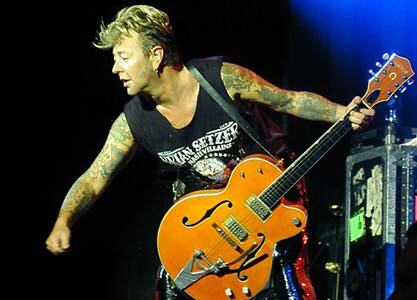 As a teenager, Brian Setzer drew inspiration from 50’s rockabilly, fused it with new wave punk, and created a phenomenon with his band Stray Cats. During the 1990’s (when grunge ruled the charts), he assembled his monstrous big band complete with a 13-piece horn section that ignited an international modern swing explosion, sold millions of albums, and racked up 3 Grammy wins. If that wasn’t enough, Setzer found tremendous success in redefining Christmas music for a generation desperately desiring something new and exciting around the holidays.